The man was fatally injured when he was struck by a car after 2am today. The incident occurred along the Coolgreany Road. 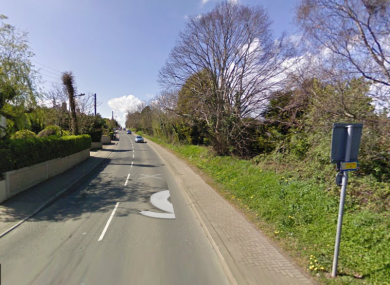 A MAN HAS been killed after an early-morning traffic collision in Arklow Co Wicklow today. Gardaí are investigating a fatal traffic collision which happened on the Coolgreany Road in Arklow, Co Wicklow at about 2.20am this morning. A pedestrian, a man believed to be in his 40s, was fatally injured when he was struck by a car. He was pronounced dead at the scene and his body has been removed to St Columcille’s Hospital, Loughlinstown, where a post-mortem examination will be carried out. The road at the scene of the crash is closed pending an examination of the area by Garda Forensic Collision Investigators. Gardaí are appealing for witnesses or anyone with information to contact them at Arklow Garda Station on 0402 26320. Email “Pedestrian (40s) killed in early morning collision in Co Wicklow”. Feedback on “Pedestrian (40s) killed in early morning collision in Co Wicklow”.